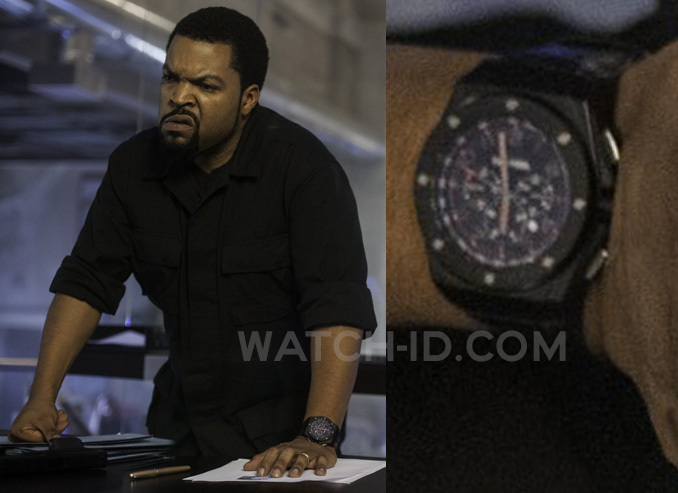 Ice Cube wears a TW Steel CEO Tech watch in 22 Jump Street. 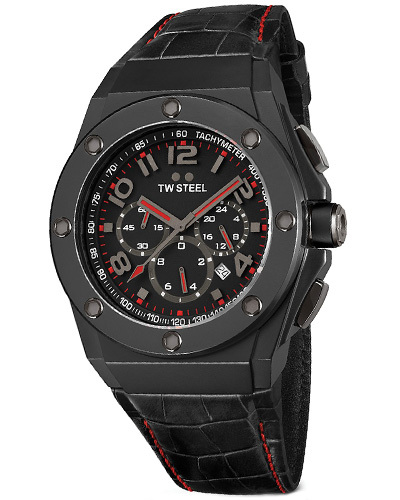 This TW Steel watch has a black dial, steel sandblasted case with A-grade PVD black coated steel coating, and black Italian leather strap with red stitching. The model number is CE4008 (44mm case) or CE4009 (48mm case). The same model is also available with a steel sandblasted case with matt finish and black dial. Other features of the CEO Tech include PVD dark titanium coated shiny screws on the bezel, pushbuttons and crown, chronograph, date, diver bezel, 10 ATM water resistant. In the same film, Channing Tatum wears a TW Steel CEO Diver watch.